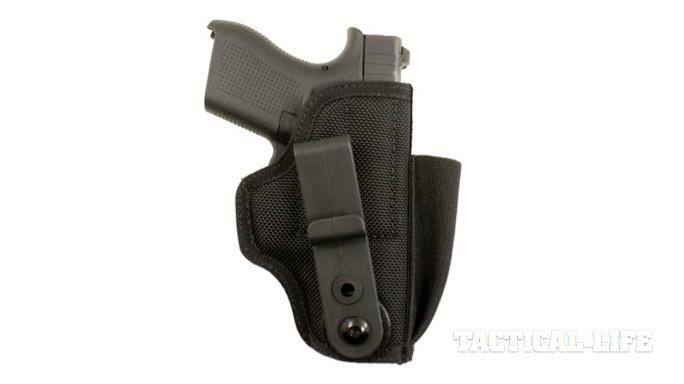 With an impressive total of 16 new holster fits, DeSantis Gunhide has provided plenty of options for owners of the new Glock 43. 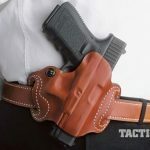 DeSantis Mini-Scabbard: This unique holster has been reduced to the barest of essentials, yet offers a secure grip on the handgun thanks to exact molding and adjustable tension device. The Mini-Scabbard will accommodate belts up to 1 1/2″ wide. 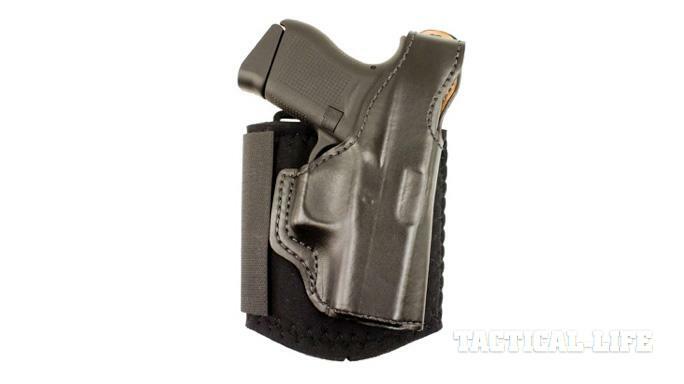 DeSantis Dual Carry II: This holster features DeSantis’ Tuck-able 360-degree ‘C’ clip for unlimited positioning adjustment in the IWB mode. Made of soft non-molded leather with thumb break and integral belt loop for OWB carry. Optional J clip is available at extra cost. DeSantis Thumb Break Mini Slide: Premium saddle leather, double seams and a highly detailed molded fit, make this exposed muzzle, tight fitting, two-slot holster a great choice for your favorite pistol. It features an adjustable-tension device. Belt slots are 1 3/4″ wide. 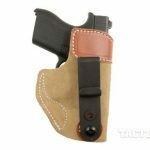 DeSantis Mini Slide (ACTUAL HOLSTER NOT PICTURED): This holster features double stitched seams and precision molding. 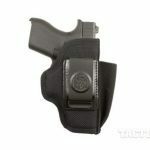 It is designed to meet the needs of plain-clothes professions preferring a tight riding holster without a thumb break. It is fitted with a tension screw device and 1 ¾” slots. DeSantis Die Hard Ankle Rig: This holster is built from top grain saddle leather and finished on the outside with a super tough PU coating. This combination of materials was originally designed for Federal Law Enforcement with longevity and performance as primary concerns. The smooth leather lining protects the gun’s finish and offers a quick, silky draw. 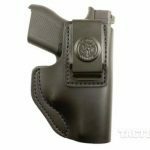 It also features a tough top grain leather lined holster with a conventional thumb break that has been attached to a neoprene leg band. The leg band is both padded with foam and lined with sheepskin. A calf strap (C14) and boot extender (C15) are optional. 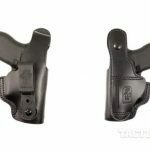 DeSantis Apache Ankle Rig: This holster has a wide, elasticized leg band that largely eliminates the unwanted rocking motion commonly associated with ankle holsters. 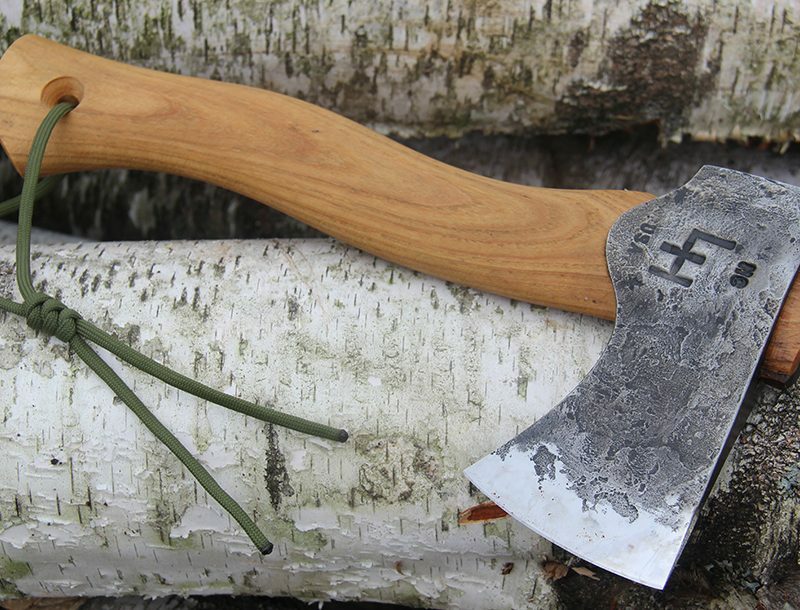 It is constructed with elastic and has a sheepskin lining with a snap thumb break. Optional #C14 Calf strap is available. 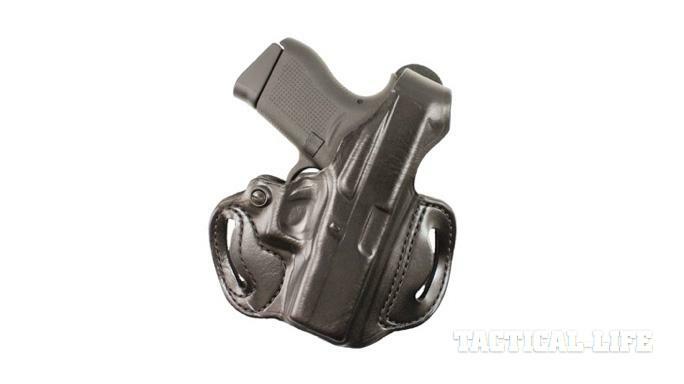 DeSantis Intruder: This holster is designed for both concealment and comfort. It is tuck-able and adjustable for both height and cant. 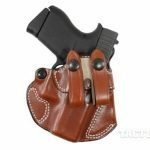 The holster back consists of top grain premium steer-hide and the leather front component is finished with a supremely durable polyurethane film for lasting beauty. Each Intruder is molded from genuine Kydex sheet to exact specifications. 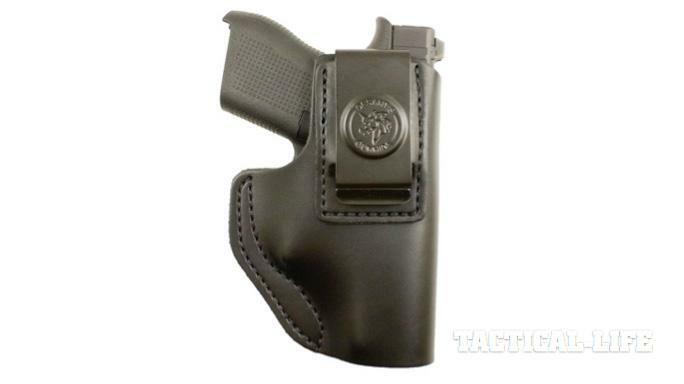 DeSantis Invader: This is an extremely comfortable synthetic IWB, tuck-able holster. 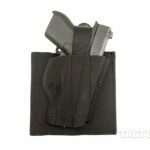 The body pad is built from edge bound neoprene, ballistic nylon and other synthetic materials, while the formed holster component is precision thermo-molded from sturdy Kydex sheet. The durable C-Clips are made of glass-reinforced nylon for lasting durability. This model is easily user adjustable with included hex wrench. J-Clips are also available separately. 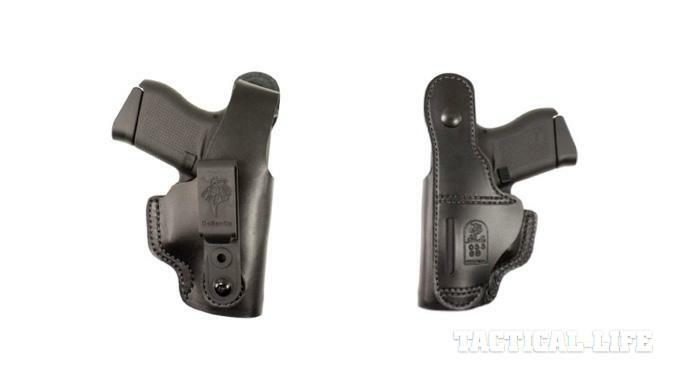 DeSantis Inside Heat: The Inside Heat is a bare bones minimum IWB holster built from black saddle leather. The precise molded contours provide the weapon retention. 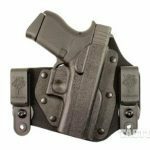 The top is reinforced to ease re-holstering and the powder coated spring clip holds it securely to your belt. 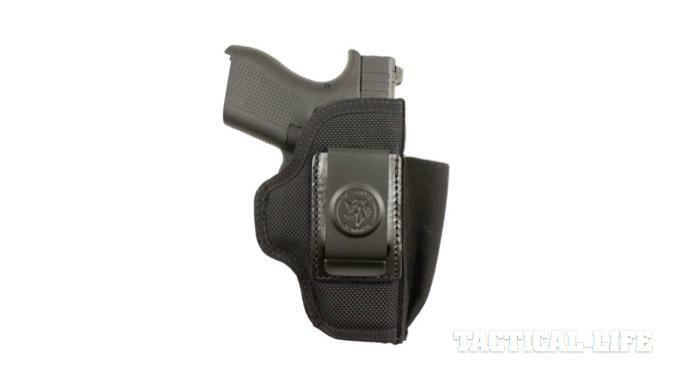 DeSantis Sof-Tuck: This is an IWB/Tuck-able holster with adjustable cant. It can be worn strong side, cross draw or on the small of the back. It is built from soft, no-slip suede and reinforced at the top with premium saddle leather to aid in re-holstering. 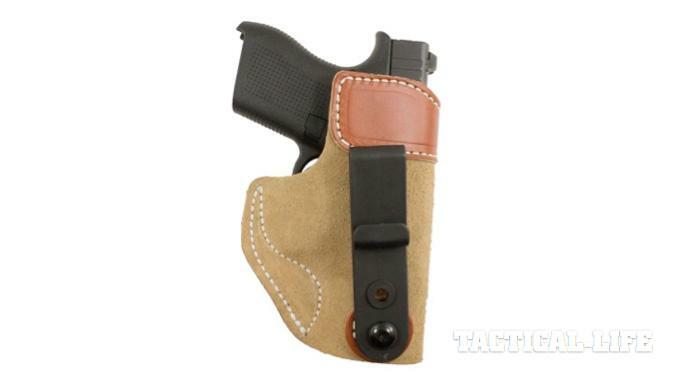 DeSantis Cozy Partner: This holster features a tension device and precise molding for handgun retention. A memory band retains the holster’s shape for easy one handed re-holstering. 1 1/2″ split belt loop is standard. Must be worn with a belt. Belt loops are NOT adjustable nor available in smaller sizes. 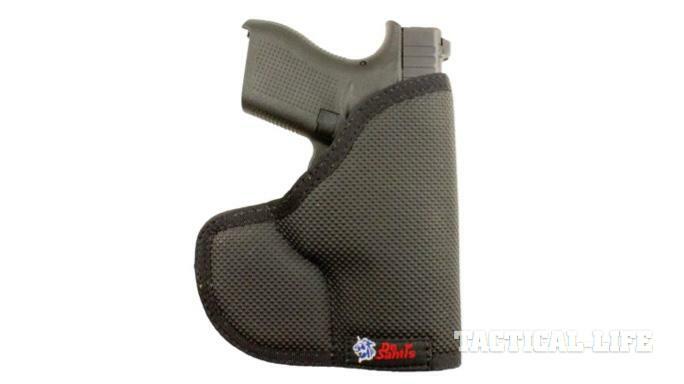 DeSantis Pro-Stealth: This holster is made of premium padded ballistic nylon. 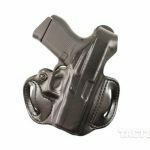 The 1 3/4″ sturdy, powder coated black spring clip keeps this beauty securely anchored to your belt. A spare magazine pouch is standard for the auto loader models, and they are ambidextrous. The clip may be removed and inserted on opposite side for left hand carry. Optional thumb break is available separately, style N99. 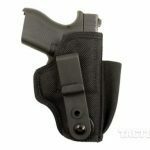 DeSantis Tuck-This II: This holster is built from heavily padded 1050D black Ballistic nylon and lined with slick pack cloth. The widely adjustable belt tab can swing from cross draw to FBI-strong side carry. 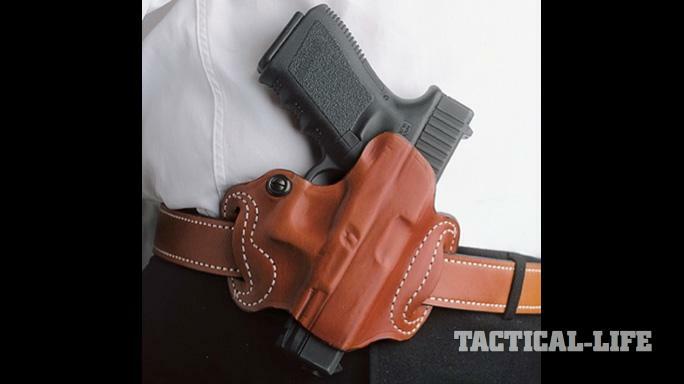 The tab allows the shirt to be tucked down in between the gun and trousers affording nearly total concealment. Accommodates belts up to 1 3/4″ wide. 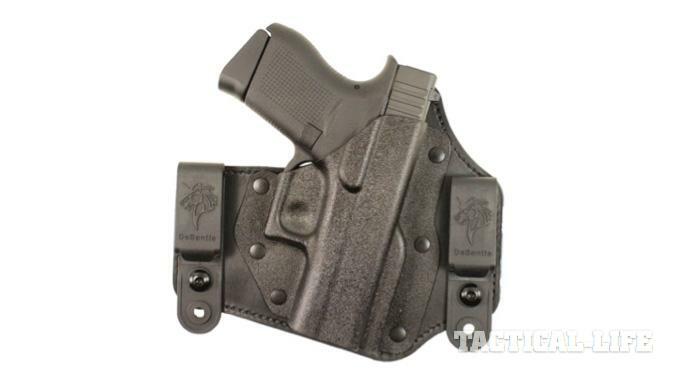 DeSantis Insider: For concealment with comfort, this holster contains design features to minimize bulk. It is made with a heavy-duty spring steel clip positioned high for deep cover. The leather is soft and un-molded. 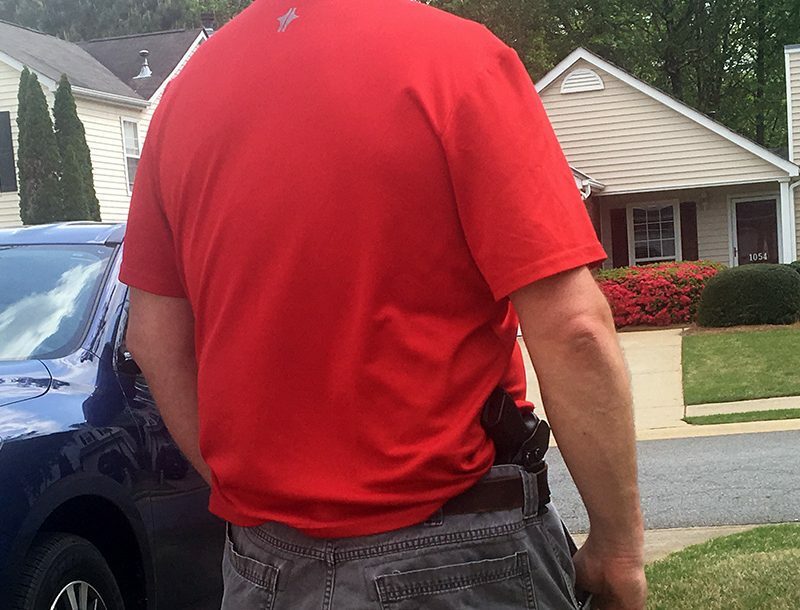 DeSantis The Nemesis: This pocket holster will absolutely not move out of position in your front pocket. Never before has there been a material this viscous. The inside is made of a slick pack cloth for a low friction draw, and the core is just the right amount of foam to break up the outline of the gun. 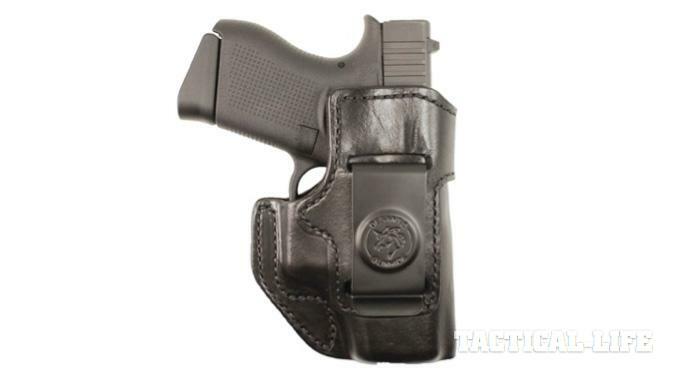 DeSantis Super Fly: This holster has a new exclusive sticky rubberized fabric is even more viscous than the Nemesis. We have also added a removable, reversible outer flap to even further disguise the firearm. 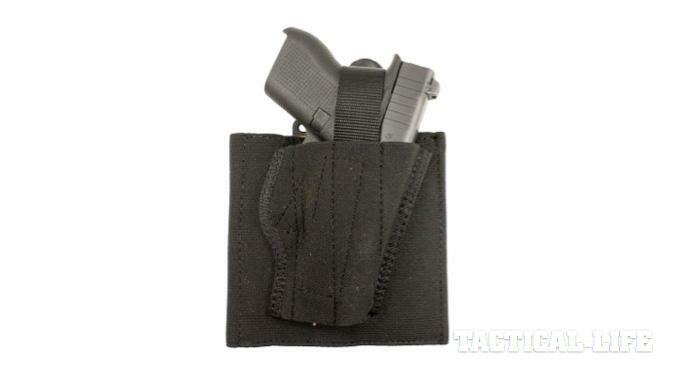 This pocket holster will absolutely not move out of position in your pocket. The inside is made of slick pack cloth for a low friction draw and is reinforced with added polymer in the right places. Back or front pocket design. Since its debut in March, the Glock 43 has been make serious waves in the firearms community, and rightfully so. The new Glock 43 holds 6+1 rounds of 9mm ammo in a slim, single-stack configuration that is only slightly larger than the ultra-compact G42. 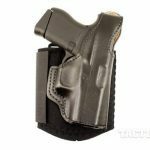 It hasn’t taken long for other companies to start manufacturing accessories for the Glock 43, with New York-based holster manufacturer DeSantis Gunhide leading the way. 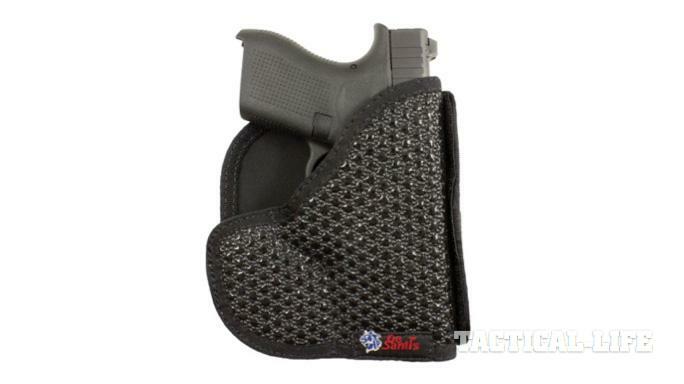 DeSantis recently unveiled a total of 16 different holster fits for the Glock 43. 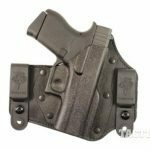 The new assortment of holsters gives shooters of the new G43 a plethora of incredibly versatile selections including IWB holsters, ankle holsters, pocket holsters and more. From the company’s popular Mini-Scabbard to the Tuck-This II, DeSantis has a different fit for any type of shooter. 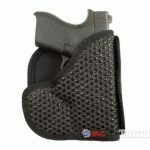 DeSantis holsters offer proper concealment without seeming unnecessarily bulky and uncomfortable. 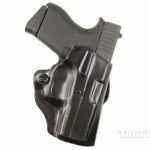 For more information on the new line of Glock 43 holsters, scroll through the photo gallery above. 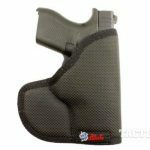 For more on other products from DeSantis Gunhide, please visit DeSantisHolster.com. Are these 16 holsters not enough? 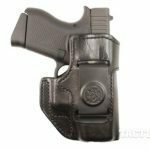 Check out new Glock 43 holster selections from Galco Gunleather and Blade-Tech! 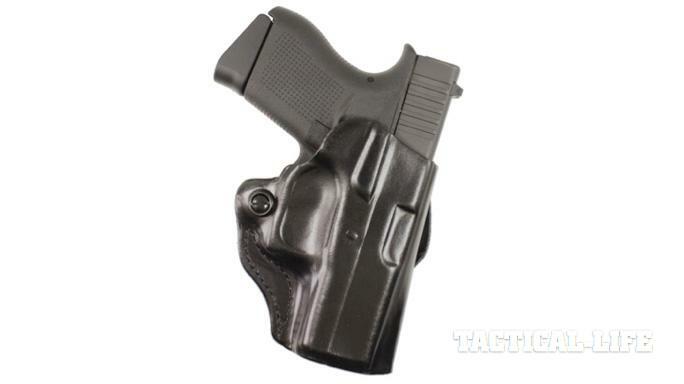 Also, check out Massad Ayoob’s review of the all new Glock 43! 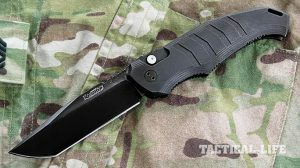 Tank-tough knife built for harsh duty and lightning-fast responses!